Our crushed gravel is ideal for a number of applications, including construction and remodeling projects, a base for pouring concrete, and landscaping projects in Collingwood. When you require crushed gravel for an upcoming project in Collingwood, Ontario, there is no better place to turn for the high-quality materials you need than to us at Flesherton Concrete Products. We offer crushed gravel for a variety of different project types, and we can deliver the product you need for convenience and efficiency. 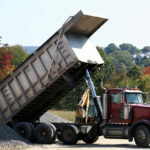 Our crushed gravel is ideal for a number of applications, including construction and remodeling projects, a base for pouring concrete, and landscaping projects. We also have the equipment to deliver your crushed gravel in the quantity you need to ensure that your project goes off without any delays. When you choose Flesherton Concrete Products, you will find that our competitive pricing and convenient services make it easier for you to achieve your goals no matter how big or small your intended usage may be. In addition to crushed gravel, you’ll also find that we can supply A gravel, B gravel, and a variety of other aggregates, such as limestone and sand, to meet your needs. We also offer crushing & screening for large-scale projects that require mass quantities of gravel and aggregate. At Flesherton Concrete Products, we have been providing the services our residential, commercial and industrial customers require since 1985, and we are equipped to help you determine whether crushed gravel or another aggregate type will work best for your application in Collingwood. Contact us today to learn more about our production process and delivery services that will help you achieve your goals. At Flesherton Concrete Products, we offer crushed gravel to customers in Collingwood, Wasaga Beach, Flesherton, Orangeville, Owen Sound, Barrie, Stayner, Mulmur, Shelburne, and Mount Forest, Ontario.